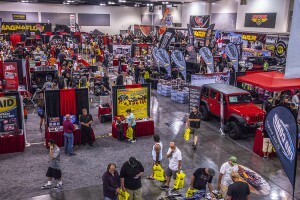 Browsing articles tagged with " canada"
Compton, California (April 29, 2015) – For the first time ever, North America’s only touring off-road show and exposition is coming to Canada when 4 Wheel Parts brings Truck &amp; Jeep Fest to Edmonton’s EXPO Centre on May 2-3. While reinforcing its position as the global leader in truck, Jeep and 4×4 performance product sales and installation, 4 Wheel Parts’ unique Truck &amp; Jeep Fest event complements the corporation’s seven Canadian retail locations which now include the recently opened store in Langley, BC, bringing the total number of stores across North America to 69. Edmonton Truck &amp; Jeep Fest’s distinctive interactive experience allows visitors the opportunity to engage with leading industry experts and vendor representatives who are on-site providing product demonstrations and the latest in truck, Jeep and 4×4 technology. The free event spreads across 100,000 sq.ft. 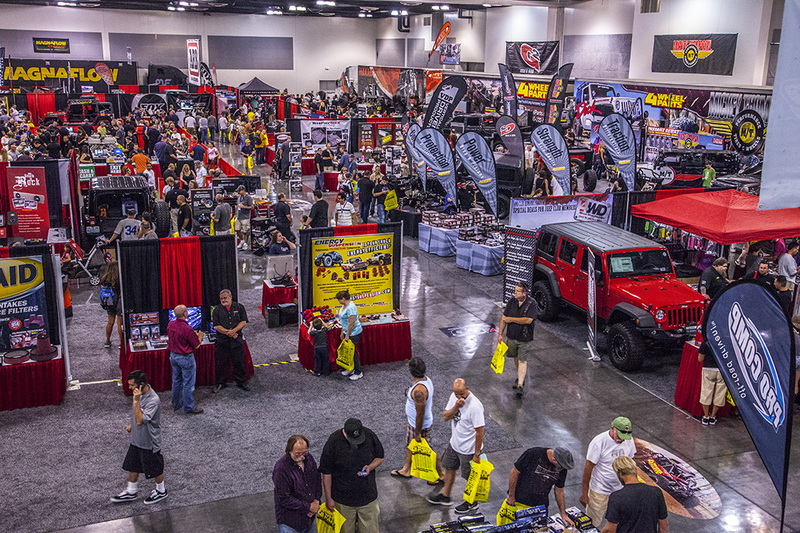 of the EXPO Centre, is open to the public and features the off-road industry’s most innovative custom trucks and Jeeps alongside displays from North America’s leading off-road performance aftermarket manufacturers. Visitors will be treated to hourly promotional pricing and giveaways while poring over $500,000 in inventory at factory-direct prices. This event is the fourth stop on the Truck &amp; Jeep Fest tour which also visits San Mateo, California; Honolulu, Hawaii; Puyallup, Washington; Dallas, Texas; Ontario, California; Denver, Colorado; Orlando, Florida and Columbiana, Ohio throughout the yearlong schedule. 4 Wheel Parts Truck &amp; Jeep Fest hours on Saturday, May 2 are from 10 a.m. to 4 p.m. and on Sunday Truck &amp; Jeep Fest is open to the public from 11 a.m. to 4 p.m. Expert ASE-certified technicians will also be on-site to provide professional advice as well as install and service event purchases at a discounted rate. “Attendees are going to be impressed with the wide range of available products and exceptional pricing offered during this event,” concluded Harvey. 4 Wheel Parts is the global leader in truck, Jeep, SUV and off-road performance products. With 69 locations across the U.S. and Canada and growing, 4 Wheel Parts Service Centers install all the products they sell. Maintaining the nation’s largest inventory of off-road tires, wheels, ARB bumpers and accessories, 4 Wheel Parts serves customers across the country and around the globe. Life is Better Off-Road™. Visit them at 4wheelparts.com or call toll-free 877-474-4821. 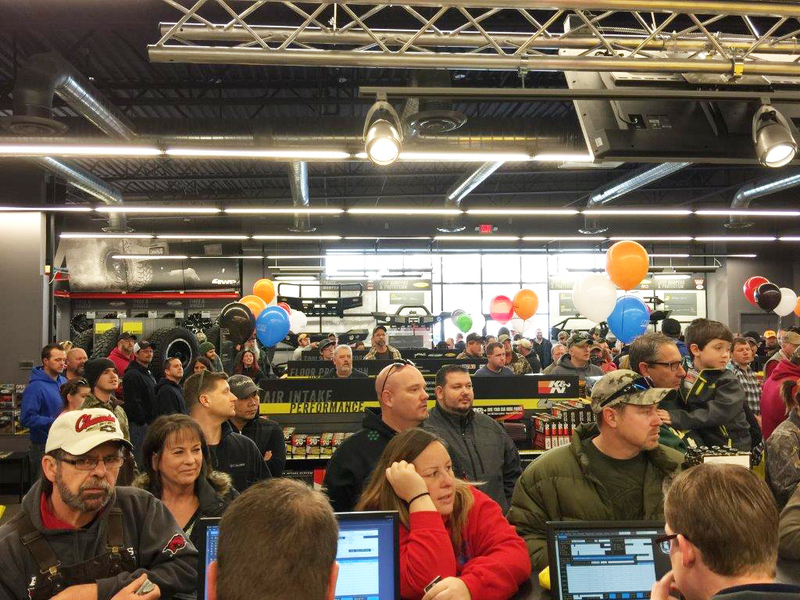 4 Wheel Parts’ newest location held a Grand Opening Celebration at its Red Deer, Canada store on April 12. It’s the fifth 4 Wheel Parts Canadian location and was previously the site of Canada Custom Vehicles. “We had a big garage sale that had products like used tires and accessories left over from the previous tenants,” says 4 Wheel Parts Red Deer store manager Brad Gilbert. There were hourly onsite giveaways and exclusive installation deals, and attendees were treated to free barbecue. 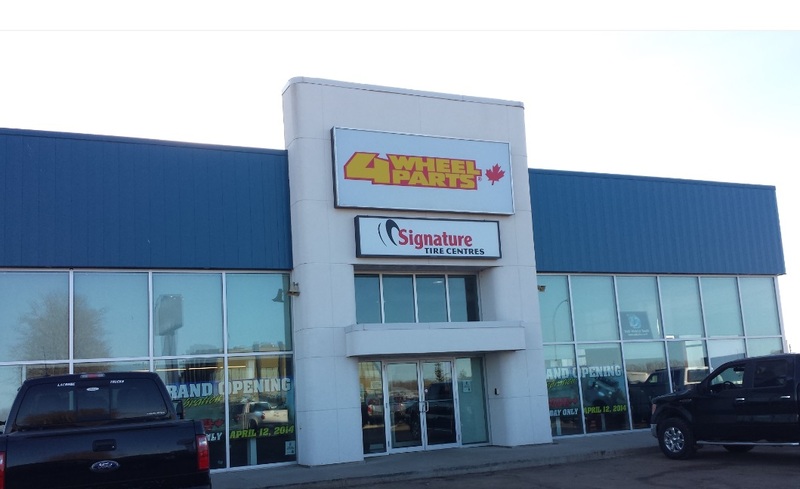 The Alberta Red Deer store is a little over an hour and a half drive south of Edmonton and joins the 4 Wheel Parts fleet of Canadian locations with others in Montreal, Calgary, Burlington, and Fredericton. Technicians at the opening performed installations for customers and offered consulting advice. The cutting edge 4 Wheel Parts store has an online Google virtual tour of its brand new showroom where users online can navigate the premises virtually to view high res images of off-road truck and Jeep parts.